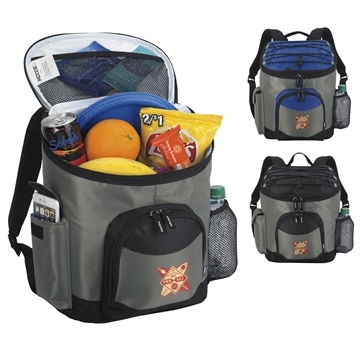 This cooler backpack is perfect for keeping items cold on the go! There is tons of additional storage, including a side pocket for your phone. Overall a great return on our investment. My customer orders these every year...loves them for their patients. Imprint is big & clear, production is quick once you find the item and how to order them. Arrived on time. Thanks! I will recommend AnyPromo to anyone I know who is looking for promotional items. Thanks for the good job you guys are so helpful and friendly.